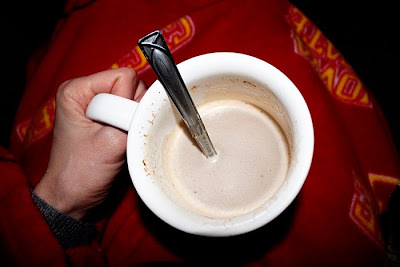 Drinking mocha in a snuggie with good friends on New Years Eve. And likely toasting to the end of Project 365. It was fun while it lasted but this year my goal is to want to pull my camera out and capture life with feeling- not just pulling the camera out because I have to. We'll see how that goes! :) For everyone starting the 365 in 2011, have fun with it! great job! i think this is so cool. what a commitment! you should totally make a book with all your photos from the year.